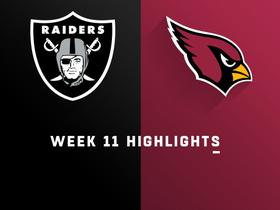 Peters (heel) is listed as active for Sunday's contest against the Chargers, Darren Urban of AZCardinals.com reports. Analysis: Peters was unable to practice Friday, but will be available Sunday as he figures to start at defensive tackle next to Robert Nkemdiche. 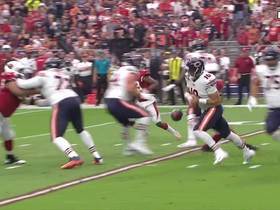 Peters (heel) is listed as questionable for Sunday's game against the Chargers, Darren Urban of the Cardinals' official site reports. Analysis: Peters did not practice Friday after having logged limited sessions Wednesday and Thursday. It remains to be seen whether the veteran suffered a setback related to his heel injury or is simply utilizing a day of rest. 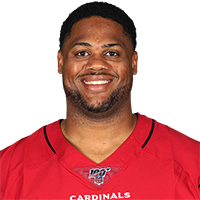 With fellow starting defensive tackle Robert Nkemdiche (calf) also listed as questionable, the Cardinals' run defense would suffer a noticeable blow if Peters were unable to suit up against the Chargers on Sunday. Peters (heel) is active for Sunday's game versus the Chiefs, Darren Urban of the Cardinals' official site reports. Analysis: Peters will return to the lineup after missing Week 9's game against the 49ers. Peters has 21 tackles and two sacks in seven games, and he'll be tasked with slowing down Chiefs' running back Kareem Hunt in this outing. 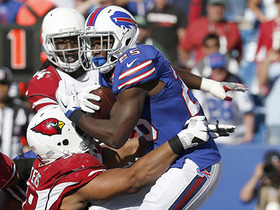 Buffalo Bills running back LeSean McCoy is tackled in the end zone for a safety. 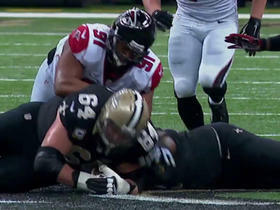 Atlanta Falcons safety Dwight Lowery strip-sacks New Orleans Saints quarterback Drew Brees for a loss of 18 yards. 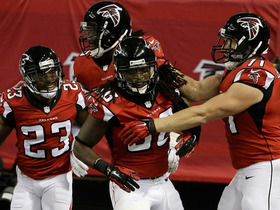 Atlanta Falcons safety Kemal Ishmael intercepts Tampa Bay Buccaneers quarterback Josh McCown and returns it for a touchdown. 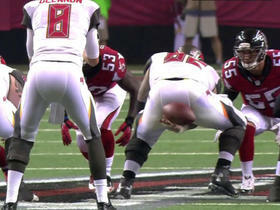 Tampa Bay Buccaneers center Evan Dietrich-Smith accidentally makes a cheeky fumble. The Atlanta Falcons defense sacks Colin Kaepernick. 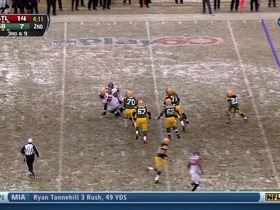 (4:15) (No Huddle, Shotgun) M.Flynn sacked at ATL 22 for -9 yards (C.Peters). 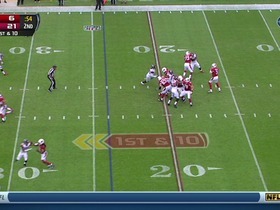 (:55) (Shotgun) C.Palmer sacked at ARZ 15 for -9 yards (C.Peters). 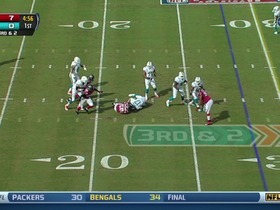 (5:03) (Shotgun) R.Tannehill sacked at MIA 22 for -6 yards (O.Umenyiora). 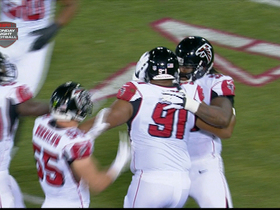 FUMBLES (O.Umenyiora), and recovers at MIA 23. R.Tannehill to MIA 23 for no gain (C.Peters).